When the end of December draws near, it’s common for people to write up their new year’s resolutions. However, by the end of January, most people have abandoned their goals for that year. What is stopping you? Perhaps you strive to have a clutter-free home or you don’t have enough room in your home to really dive into your new hobby or passion. Here are a few ways that you can accomplish your New Year’s Resolutions with a storage unit. Maybe you’re looking to declutter your home or organize your belongings for the new year. Whatever the case, renting a storage unit is a good first step to organizing your life. Start by cleaning out any junk drawers or overfilled closets. If you plan on using an item again but later on, it can go in the storage unit. If you have no use for the item anymore, it can be donated or sold. An organized home opens the door to so many experiences such as inviting friends over more often or being able to find things easier. It all starts with a clean environment. Ever wanted to start a project but never had the room to pursue it? Storage units are a great place to store items to make room for the real projects you want to start. Whether you want to start your own art studio or crafting space, start by clearing out the area you want to use. Any items you don’t need at the moment can be put in storage and used for later. If you can’t move the items in your home due to bulkiness, try using your storage unit as a crafting or art studio itself. If you can’t bring your workspace to your home, bring yourself to your workspace! Many young adults or the retired have dreams to leave their job to travel the world or go on long-term vacations. Those dreams can be difficult if you have to pay rent or if you want to keep your belongings safe for an extended period of time. If you plan on traveling for a few months, a storage unit is a great place to store your items until you get back! No need to worry about items getting stolen or lost. Simply pack your items away, and let the storage facility take care of it until you get back. One of the most common New Year’s Resolutions is living a healthier lifestyle or pursuing a new workout routine. If you can’t seem to make it to a gym or don’t have one nearby it can be a hard goal to reach if you don’t have the right equipment nearby. Why not turn that cluttered extra room into a workout space? A storage unit can allow you to bring a gym right to your own home. Move all the stuff that you don’t need and move some gym equipment into your newly refurbished space. There’s no excuse to not go to the gym if you have one set up in your own home! Storage units can come in handy this new year. 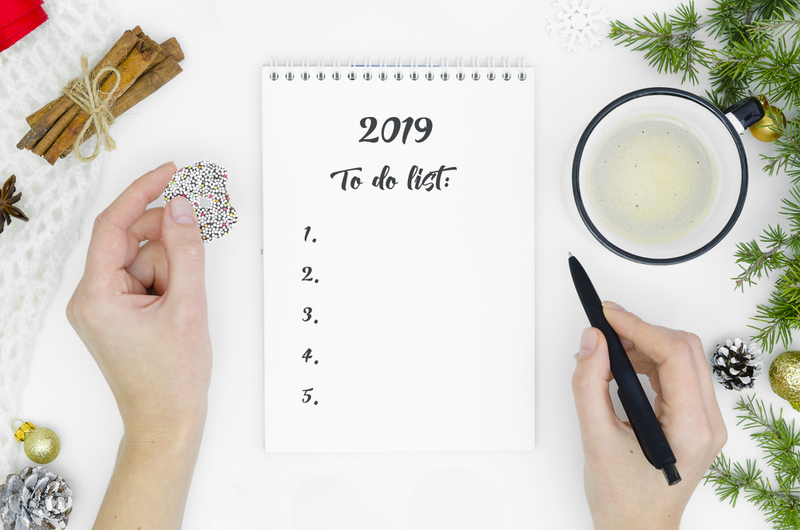 If you’re looking to fulfill a New Year’s Resolution this year related to decluttering, Affordable Family Storage is here to help. With 24-hour security, climate-controlled units, easy access and more, it’ll be easy to say goodbye to your cluttered lifestyle, and hello to your New Year’s Resolutions.